Singapore is at the forefront of innovation and growth with a thriving start-up ecosystem that includes robust incubating infrastructure, tax incentives, cash grants and innumerous financing schemes. The 50,000 or more start-ups in the country is an index of the support such ventures receive from the Singapore Government. Coupled with that, the human development index, standard of living, per capita income, ease of doing business and corporate taxation make Singapore one of the best nations in the world for life and work. Singapore provides such a rich environment for start-ups through private funding in the form of corporations and institutional investors, as well as through incubators and investments via a variety of Government programmes. Some examples of the latter are SPRING Singapore and National Research Foundation. There is also the Economic Development Board’s investment arm, GIC and Temasek Holdings through which the Government provides funds for venture investing. So if you have a business idea or want to incorporate a company in Singapore, Venture Capitalists, Angel Investors and Grants are the 3 broad options available to you. Venture capitalists have a hands-on role in your business and offer not just funding but also advice on increasing your profitability. They prefer high growth potential sectors such as IT, biotechnology and nanotechnology. Scientific breakthroughs and large-scale impact businesses are the focus of venture capitalists. A list of independent limited partnership and corporate-backed venture capital firms are given below. Eduardo Saverin, the co-founder of Facebook, launched the US$144 million venture fund in 2014 with a focus on India, Southeast Asia and the United States. B Capital Group backs companies that promote ground-breaking technology with a futuristic vision. They have offices in San Francisco, Los Angeles and Singapore. Their incubation arm is BCG Digital Ventures and they have partnered with Boston Consulting Group. This a venture capitalist firm with its origins in Singapore and San Francisco, which has bridged Silicon Valley and Asia through investment and exchange of resources. It has over 30 investments across 30 countries. Investments cover consumer internet, social media, digital entertainment, e-commerce and crowd-sourcing. Jeffrey Paine and Vinnie Lauria, both founding partners, have invested in Aptoide, Xfers and MyMusicTaste and Coda Payments, Nitrous and Lenddo, respectively. They zoom in on regional consumer internet category leaders in retail, financial services, travel and hospitality, healthcare etc. ASEAN’s high-growth cities and the rapid growth in online consumer behaviour provides a wealth of opportunity that they are now tapping into. The firm, under its Managing Partner and founder of Sony Entertainment Television Jayesh Parekh, has invested in 500 Startups, PubNub, and Artiman Ventures. Amit Anand, also a founding partner, has invested in DocDoc, eBus, iMoney and Fastacash. 500 Startups has US$350 million in capital across four main funds and 13 micro funds. All in all, it has reached out to 1,700 technology startups all over the world as a global venture capital seed fund. 500 Startups has invested in Twilio, Credit Karma, Grab, Udemy, Talkdesk, Intercom, and MakerBot. It has a network of startup programs based out of Silicon Valley. Khailee Ng and Eddie Thai are two of its noted partners. With its US$250 million corporate venture capital fund, Singtel Innov8 is one of the established venture capitalists that has presence across Singapore, Silicon Valley, Tel Aviv and others. Their focus in on investments that drive technological breakthroughs in network capabilities, next-generation devices, digital content services and ways to enhance customer experience. Twenty percent of NASDAQ’s total value is accounted for by Sequoia-backed companies. In the last 45 years, Sequoia has worked with Steve Jobs, Larry Ellison, John Morgridge, Jerry Yang, Elon Musk, Larry Page, Jan Koum, Brian Chesky, Drew Houston, Adi Tatarko and Jack Dorsey, among others. This venture capitalist firm invests in post-seed stage tech startups now coming up in growing markets. Monk’s Hill Ventures began as a partnership of entrepreneurs who has since backed global companies. The firm’s co-founder Kuo-Yi Lim, has invested in DataXu, Gengo, Kalibrr and Reebonz. He is looking to support big data, mobile consumer internet and enterprise software startups. An international VC firm, Life.SREDA was established in 2012 in Singapore and has invested in more than 20 FinTech companies around the world. It has two funds that amount up to a total of US$140 million, the greater part of which belongs to its Asia fund. Paul Santos, the Managing Partner, has made investments in Ardent Capital, Luxola, and TradeGecko. This VC is a part of the Draper Venture Network which has 10 funds across four continents. Angel’s Gate, Asia’s first reality TV series, is managed by Crystal Horse Investments. Companies in Malaysia and Singapore that have potential for long-term value, are its focus. Management, overseas business development and exposure to business networks are promoted by COENT Venture Partners which provides seed funding to companies across Asia. This VC firm focuses on commerce, social, games, SAAS, and mobile services. It has invested in 150 companies across Asia and the firm’s co-founder and Managing Partner, Willson Cuaca, has invested in Tech in Asia, Waygo, RedMart and Megafash. The partners focus on early-stage, digital media, IT and TMT companies. Based out of Shanghai, the company has raised seven funds and has invested in over 100 companies across China, Hong Kong and ASEAN over the past. Brite Semiconductor, Camera360, CiB, CSDN, Line0, Madhouse, World Traveller and Yoyi Digital have all been supported by GOBI’s founding partner Thomas Tsao. Spiral Ventures does seed funding and is interested in consumer-oriented businesses in Southeast Asia. IMJ Corporation, the biggest digital agency in Japan, is its parent company. Innosight, a venture investment firm, focuses on Southeast Asian ventures and has its own methodology for spotting scalable startup companies and shaping them. Rakuten Group is one of the leading internet service companies that has built and invested in various businesses in diverse fields like e-commerce, financial services, digital content and advertising. The Tokyo-based group is headed by Saemin Ahn, who has invested in Carousell, Pocketmath and Algorithmia. Angel to seed-stage investment in technology startups is Tri5 Ventures’ primary focus. Deep technologies, data science and AI startups in diverse fields have been supported with US$5.3 million. Overall, they have helped 38 startups. More than 100 private companies have benefitted through UOB Venture Management’s direct equity investment in Southeast Asia and Greater China. It is a subsidiary of United Overseas Bank (UOB). DreamLabs has a $50 million fund focussed on scalable companies in sectors such as Cleantech, Fintech, e-Commerce, Healthcare and Energy. The firm also offers mentorship, networking and physical infrastructure at their incubator. There are also networks like Business Angel Network Southeast Asia (BANSEA) that matches startups with angel investors. They mainly invest in companies that have high growth potential and offer exceptional opportunities for ROI. Companies can be in the emerging market or established market with international expansion capabilities and which are sustainable. The Singapore government also started the Startup SG scheme to help entrepreneurs launch their dreams and get ahead of fierce global competition. Startup SG is an umbrella term for entrepreneur support initiatives that also connects them to the global entrepreneurial network while making available loans, grants, funds and resources. The Startup SG scheme is divided into six categories to provide the necessary ecosystem for startups. First-time entrepreneurs can receive mentorship and capital grants under this scheme. SPRING which matches $3 for every $1 the business makes has also appointed Accredited Member Partners (AMP) to identify qualifying candidates with ideas that have the potential for success and are based on good business models. It provides Proof-of-Concept (POC) or Proof-of-Value (POV) grants to make possible the commercialisation of proprietary technology. A competitive grant, tech startups can make use of it to speed-up development of technology or scale their business. co-investment setup where the Singapore Government invests in a startup along with a third party investor. This is meant to encourage private-sector investors to invest in innovative, Singapore based technology startups with global market potential. The co-investment ratio is pre-decided and the Government invests only if the investor can contribute in terms of management experience, technical expertise and relevant business contacts. SSC has already pledged $100 million to groom deep technology that has high growth potential and is also calling for co-investment partners in the areas of Advanced Manufacturing and Engineering and Health and Biomedical Sciences. Both funding and support are provided to incubators and accelerators to boost their programs and expertise in providing support to successful startups. Partial operating expenses and expenses in developing programmes to help startups are undertaken by this scheme. Schemes such as EntrePass, T-UP, SME Talent Programme (STP) for startups fall under this category. EntrePass allows global entrepreneurial talent to stay and work in Singapore and thus contribute to the high tech startup ecosysyem. T-UP or Technology for Entreprise Capability Upgrading is aimed at helping businesses build R&D capabilities by accessing talent from A*STAR Research Institutes. It subsidises the costs of research scientists and engineers for up to 2 years. STP for startups provides subsidy in stipends paid to interns and assists startups in building their human capital developmental capabilities. These are government-backed loans offered through financial institutions to provide startups with working capital, equipment factory financing and trade financing. SME Micro Loan, SME Venture Loan, SME Working Capital Loan and SME Equipment and Factory Loans are available for use. Angel Investors can enjoy a tax deduction of up to 50% of their investment at the end of 2 years if they commit a minimum of $100,000 in a qualifying startup. For each year, there is a cap of $500,000 on eligible investments with a maximum tax deduction of $250,000 for the same. FSTI mainly provides support for the creation of an ecosystem for innovation and has pledged $225 million over a five-year period. It is meant to draw financial institutions to set up their innovation labs in Singapore, support the building of industry-wide technology infrastructure as well as support the development of innovation solutions. Under this, there is also a sub-scheme called FSTI-Proof-of-Concept (POC). 50-70% funding support is provided by Monetary Authority of Singapore (MAS) up to a maximum amount of $200,000 for a maximum of 18 months. This support is extended to develop solutions for financial industry problems and is available for financial institutions (FIs) in Singapore or solution providers working with FIs. CDG provides financial assistance to startups to build their capabilities in 10 key areas. Up to 70% of project costs can be subsidised under this scheme including consultancy, training, certification, equipment and software costs. They aim at improving productivity, process, product development, human capital development, business models and market access. An initiative by Inland Revenue Authority of Singapore (IRAS), it allows for 400 percent tax deductions up to $400,000 or 60% cash pay-out up to $100,000 for investment in innovation and productivity improvement. Under PIC, activities covered include R&D, IP registration, acquisition and in-licensing of IP, leasing of automation equipment, employment training and approved design projects. A voucher valued at $5000, it encourages startups to develop business capabilities. The voucher can be used to strengthen business operations through consultancy in areas such as innovation, productivity, human resource and financial management. 8 vouchers can be used by a startup and the project period is limited to 6 months. An initiative under the National Framework for Innovation and Enterprise, the National Research Foundation (NRF) invests $10 million through ESVF into venture capital funds that support early stage high-tech companies in Singapore. Businesses undertaking projects with a tourism focus can make use of BIF which is run by Singapore Tourism Board (STB). It encourages technology development for innovation and adoption and redesign of business model and processes in tourism sector. Successful SMEs can receive up to 70% of qualifying costs and non-SMEs can receive up to 50% of qualifying costs. There needs to be wider BIM collaboration among the environment industry firms by subsidising part of the costs of training, consultancy, software or hardware. For this reason, companies can apply for up to $30,000 funding. Companies can enjoy tax savings under DTDi. It provides 200% tax deduction on expenses incurred through market expansion and investment development activities. The MRA grant covers up to 70% of third party costs in setting up a market overseas, identifying business partners and overseas market promotion. The GCP Grant helps cut expenses in overseas expansion projects which are involved in capability building, market access and manpower development. iMAP provides support to overseas businesses and Singapore Pavilions at International Trade Fairs. Companies participating in iMAP activities will receive 50 – 70% of eligible expenses such as exhibition space rental, booth construction costs and fair/mission consultancy expenses. For those stepping into the startup scene, the following programmes will be of much help as they are again government-backed and support both SMEs and startups. ACE known as the Action Community for Entrepreneurship promotes the startup culture in Singapore. Though ACE is managed by the private sector now, government funds still flow in. A maximum of $50,000 is given for entrepreneurs under this scheme. The only condition is that you must be a first time entrepreneur to apply. The Infocomm Media Development Authority (IMDA) provides the opportunity for startups to secure contracts with large companies. Some companies that have benefitted from the scheme are Kai Square, V-Key, and Tagit. This scheme is however preferred by mature tech companies as it can prove cumbersome for amateur startups. The Launchpad also known as Block 71 is a startup group with 750 startups to its name. Bringing together investors, incubators, accelerators and other startup services, it has provided valuable support to startups. It shares its management duties with ACE. SPRINGS Singapore started this initiative to lend support to startup ventures. Meditech and Cleantech are the areas SSA mainly focuses on as niche areas. The government has plans to invest S$60 million into medtech startups through this programme. R&D projects for early-stage startups benefit from TEC funding. Developing technology for the marketplace is the main focus of this programme. S$750,000 million is the maximum amount a startup can receive through this grant. The grants are divided into two types depending on the level of the technology involved. TIS helps early stage startups by partnering with venture capital firms and matching up to 85% of the VC’s investment fund, capped at S$500,000 million. The initiative is run by the National Research Foundation (NRF) and the programme is aimed at high-tech startups. It is obvious how supportive the government is when it comes to providing a vibrant startup ecosystem through the number of initiatives they have set up in Singapore. Although private investors play a large role, government-backed initiatives are aplenty and are meant to position the city-state as a regional startup hub. Whether it is fundraising, expanding your business globally or investment for deep technology, there are quite a number of options for entrepreneurs today. That is also the reason for Singapore’s thriving startup scene. 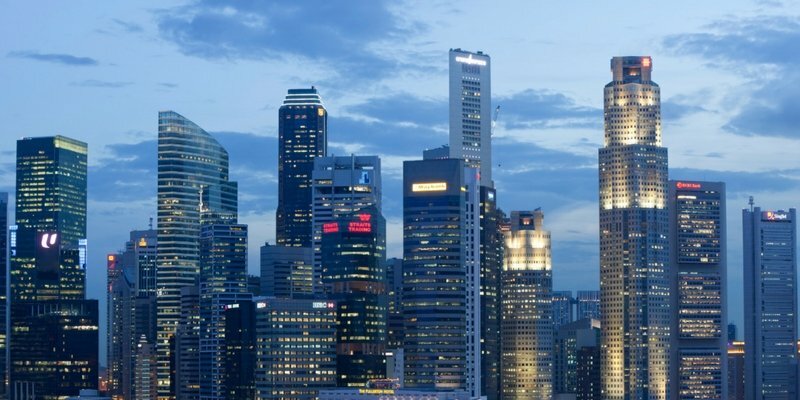 So if you have a business idea or want to launch a startup, Singapore is the place to be. Tap into AsiaBiz’s network of banks, private equity firms, venture capitalists and angel investors.